In 1909 both two young local fraternities, Chi Omicron (WRU) and Kappa Tau Phi (CIT) petitioned to become a Sigma Chi chapter. The General fraternity thought that both were too small to be granted each a charter. The two chapters agreed to merge, were granted a charter in June of 1909 at Grand Chapter and installed on November 9, 1909. 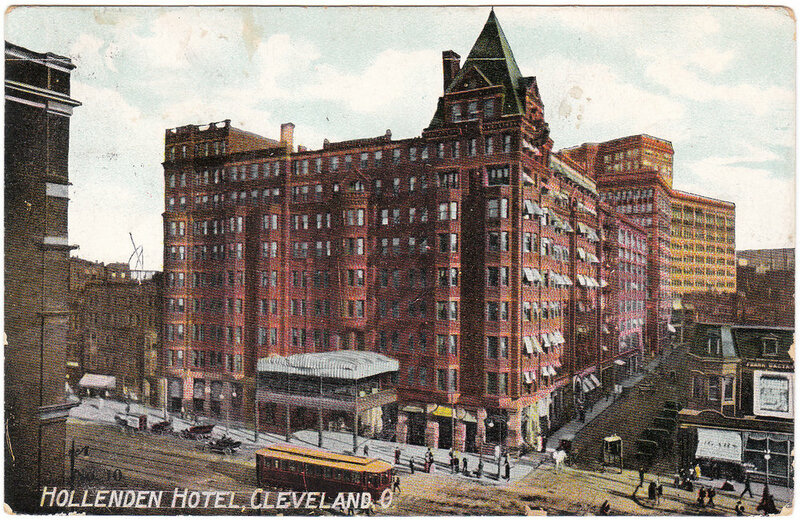 The celebration took place at the Hollenden Hotel in downtown Cleveland. Hollenden Hotel, formerly located on Superior and E. 6th, where the chapter celebrated the establishment of the charter in 1909. The new fraternity moved into the Chi Omicron house which was built in 1906 around the same time of the local's founding. Now the idea of granting a charter to two separate schools, a common practice by today's standards, had never been done before. The "Twin Sig" would remain the only dual chartered chapter for about 50 years in the entire Greek world. 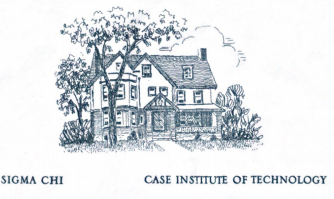 In the early 1960s Western Reserve University (WRU) and Case Institute of Technology (CIT) began to change their housing policies that would make it difficult for brothers from both schools to live together. The chapter petitioned to be split and rechartered. In 1963 the Beta Eta chapter and its assets were split and CIT students became members of Beta Eta while the WRU students became actives in the newly formed Beta Alpha chapter. During this time period, Beta Eta resided at 11421 Bellflower, Cleveland, OH (currently the Alpha Chi Omega house), while Beta Alpha stayed about four doors down on the same side of the street. In 1967 CIT and WRU merged into what we now know as CWRU and in 1968, the Beta Eta chapter moved to the house on 11318 Bellflower Rd, Cleveland, OH (currently the Wolstein Hall of Undergraduate Admissions) and stayed there on a lease until 1995. The house was constructed in 1910 and served as the home for Cleveland industrialist Washington S. Tyler and his wife, Marian Clark Tyler, until the 1950s. Between the 1950s and our occupation, the Phi Kappa Tau fraternity of CWRU resided here. Finally in 1970 Beta Alpha lost its charter as popularity in fraternities dropped, ultimately merging back into the Beta Eta chapter. Beta Eta went through a difficult time in the early 70s and again in the early 80s with low membership, due to complications surrounding the federation of WRU and CIT along with several hard drug related problems. Fortunately, the chapter went through a turnaround almost entirely as the result of Brother Aldous "Al" Page, who served as Pro Consul (Vice President) in 1980, along with the help of other brothers such as David Santoli. Al single handedly recruited the whole pledge class of 1982. which “was both large and of high caliber”, according to alumni. Additionally, men of different “temperaments, talents, and convictions” were recruited as well, with some brothers attending Cleveland Institute of Music (CIM) and Cleveland Institute of Art (CIA) joining the Beta Eta chapter at Case Western Reserve University (CWRU). Building on this change, the chapter later went on to earn the highest GPA on campus for several years during the 1980’s and received nine Peterson Significant Chapter Awards over the next eleven years. 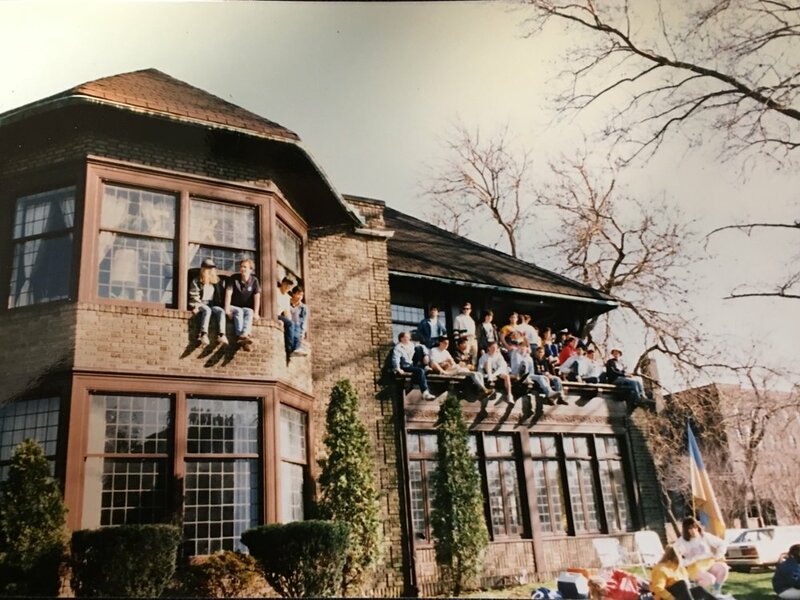 Brothers having a good time at the house on 11318 Bellflower during the 80s. In recent years, the Beta Eta chapter has been thriving. The chapter is now located at 11915 Carlton Road on the South Side of campus at the top of the hill. Consistently maintaining roughly 50 active brothers, we have experienced success on campus, regional, and even the international level. Brother Ethan Pickering, class of 2015, received the 2016 Sigma Chi International Balfour Award. Brother Pickering served as Consul and pushed us to excellence, leading his chapter to campus awards in all four pillars of Greek-letter life — scholarship, leadership, ritual and citizenship — and the J. Dwight Peterson Significant Chapter-Blue Award, along with top campus GPA during his tenure. Additionally, Brother Steve Dayton, class of 2018, has been selected as the Ohio Northern Province Balfour Winner for his excellence in academics, chapter leadership and varsity baseball. The Beta Eta chapter currently has one of the highest GPAs on campus with an average of 3.5 and has won several Greek Intramural Championships in the recent past, highlighting the well-roundedness of all our brothers. Much thanks to all the alumni brothers that helped create this by providing their detailed view of the chapter throughout the years, especially during the 70s and 80s. None of this would be possible without your input. Sigma Chi was founded by seven college men at Miami University in Oxford, Ohio on June 28, 1855. The founding of Sigma Chi was the outgrowth of the seven founder's desire to perpetuate the ideals of true friendship, equal justice and the fulfillment of learning. These seven men believed that friendship sharing a common belief in these ideals and possessing different temperaments, talents and convictions was superior to friendship among members having like character. Today, the Fraternity has grown into an International brotherhood adhering to the principles which guided its founding. Sigma Chi consists of more then 200 undergraduate chapters in North America and many alumni groups worldwide.